The Gift of Hope is an initial relief package given to new members to help them tide over the first few days after release. Launched in 2008 with the support of corporate partners like NETS, the package contains $55 worth of basic necessities such as a NETS FlashPay Card, food and grocery vouchers and other items. We hope that this gives a warm welcome to new members, and reassures them of community support as they start their lives afresh. To support the Gift of Hope initiative through sponsorships and donations, kindly call 6743 7885 or email [email protected]. 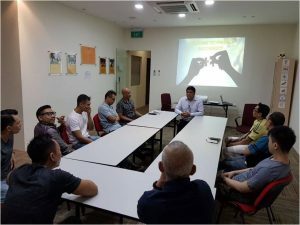 Project ReConnect is a structured orientation programme for ex-offenders who have spent three years or longer in prison. 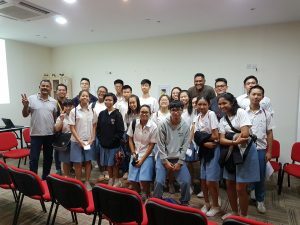 Launched in 2017, this programme aims to help participants familiarise with the rapidly-changing landscape and trends in Singapore, as well as to assist them re-adjust to the community by imparting knowledge and life skills essential for daily living. Held once a week every Tuesday, it is a one-day affair. A typical session begins with a simple briefing on important matters including employment, housing and medical matters. This is followed by a community tour to places such as the MRT station, community centre, grocery stores and others. Interested to sign up for Project ReConnect? 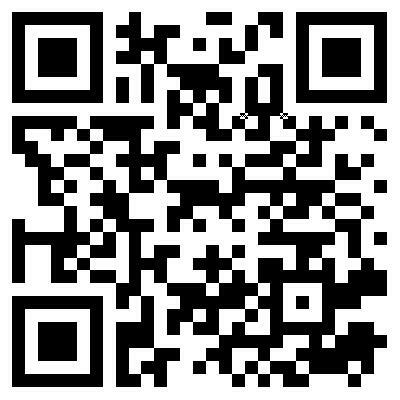 Please call 67437885 or email [email protected]. 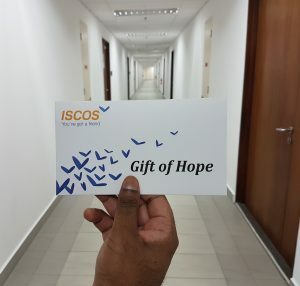 The ISCOS Titans Programme (formerly known as Motivators) recognises exceptional members who are doing well and willing to give back to the community. These ISCOS Titans are encouraged to share the first-hand account of their reintegration journey with inmates, youths at-risk, students or the general public. Showcasing the grit and resolve mustered through the various struggles, the sharing of these experiences have proved to be encouraging and inspiring, invoking positive changes in audiences’ personal lives. These sessions are arranged in the hopes of motivating audiences to lead a positive and dynamic life, while reinforcing their determination to ward off negative influences. The ISCOS Titans will undergo proper and relevant trainings to develop their public speaking skills, and receive an honourarium for their services to the community.